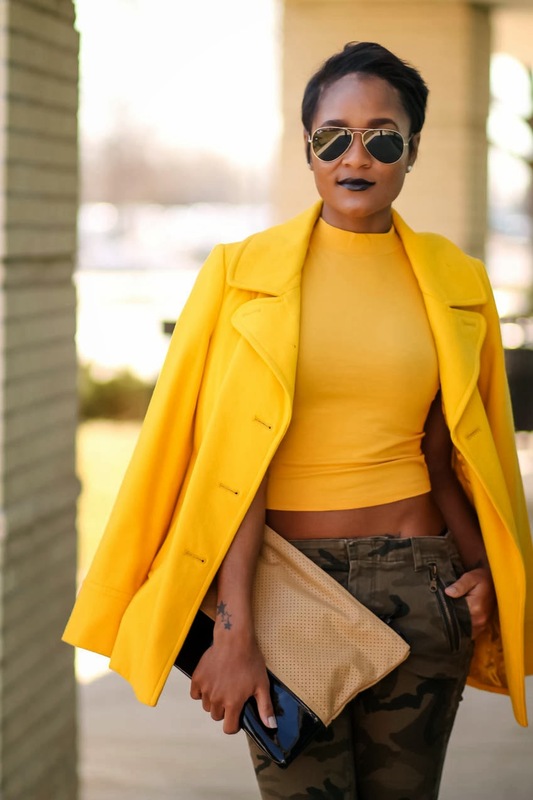 I'm all about the color mustard ever since I got my hands on these mustard pumps, it's a blossoming relationship.. The Daileigh 5 week online course coming end of March.. are you registered? More details here. Love this color combo! Those heels and camo pants go perfect together! 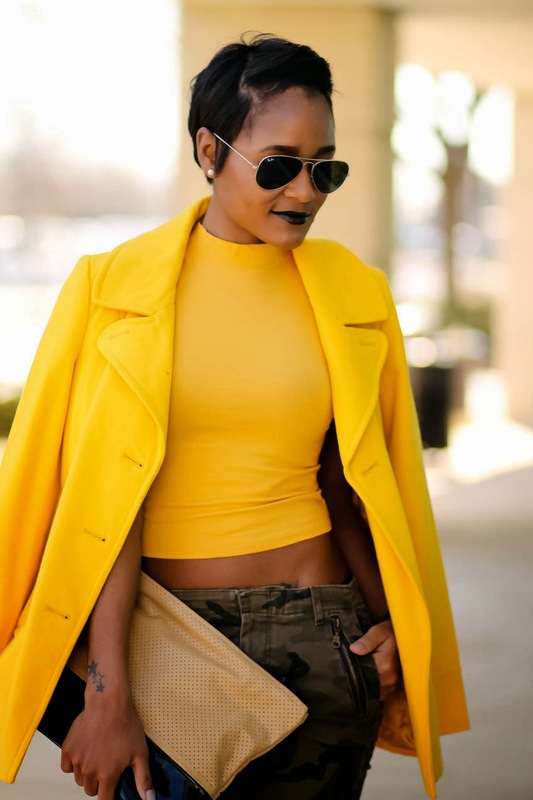 I love how camo combines with mustard yellow! You really can't beat cam o! Looking so chic! 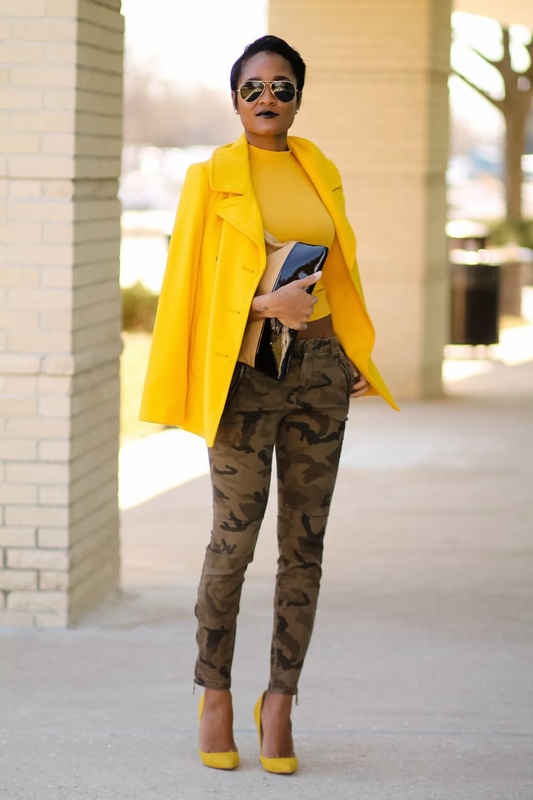 camo and mustard is a great mix!